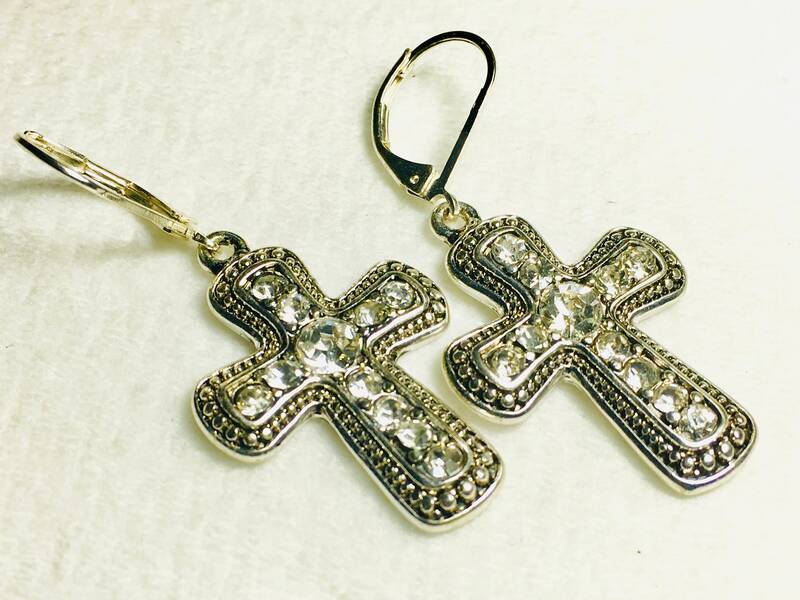 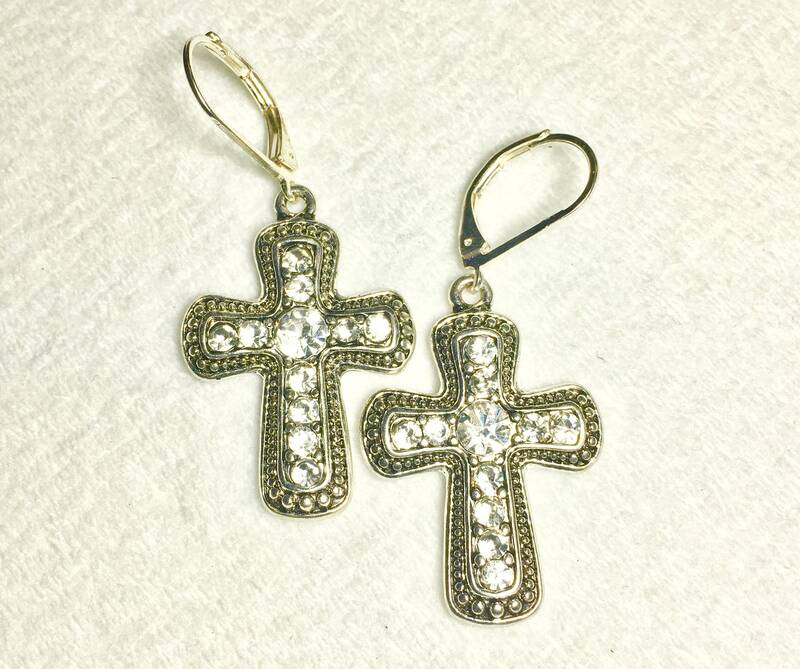 Silver Antique Crystal Cross Zinc Alloy Earrings with Inlaid Rhinestones. 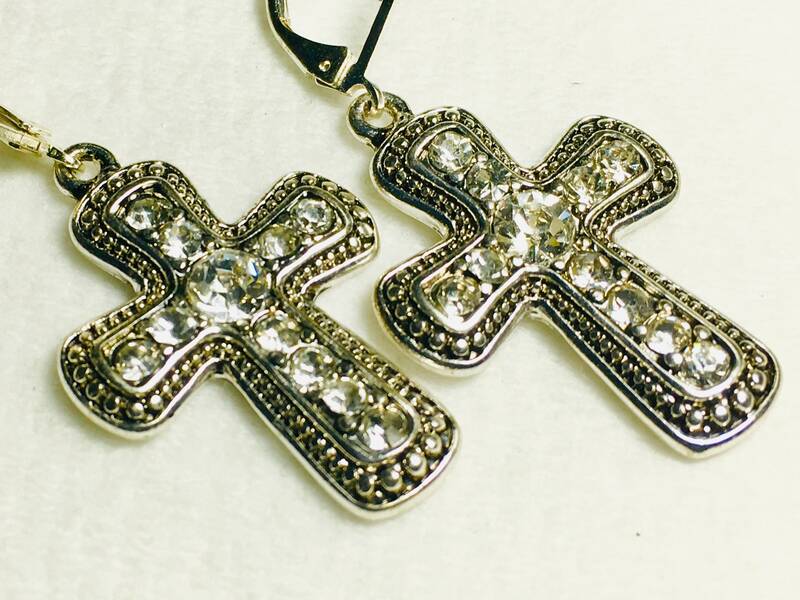 These are truly beautiful Silver Crosses. 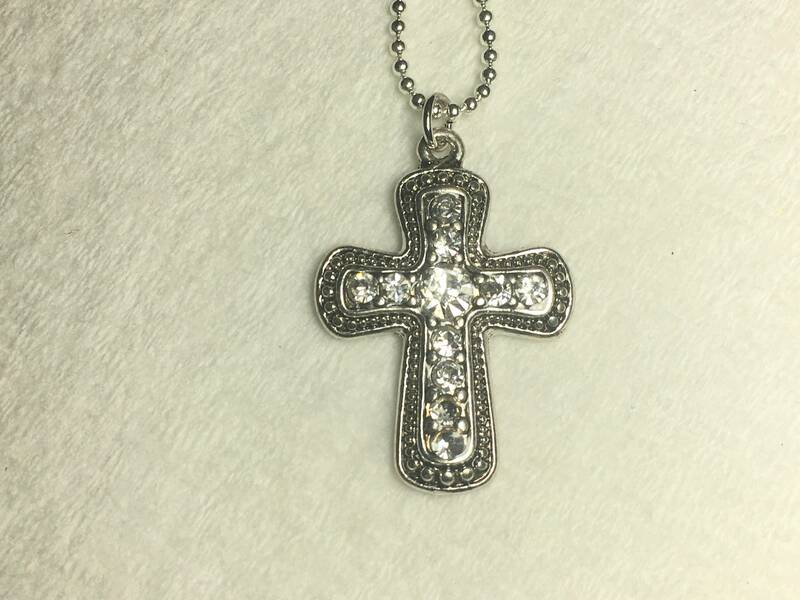 Pendant comes with a Silver 17” bead chain with lobster clasp. 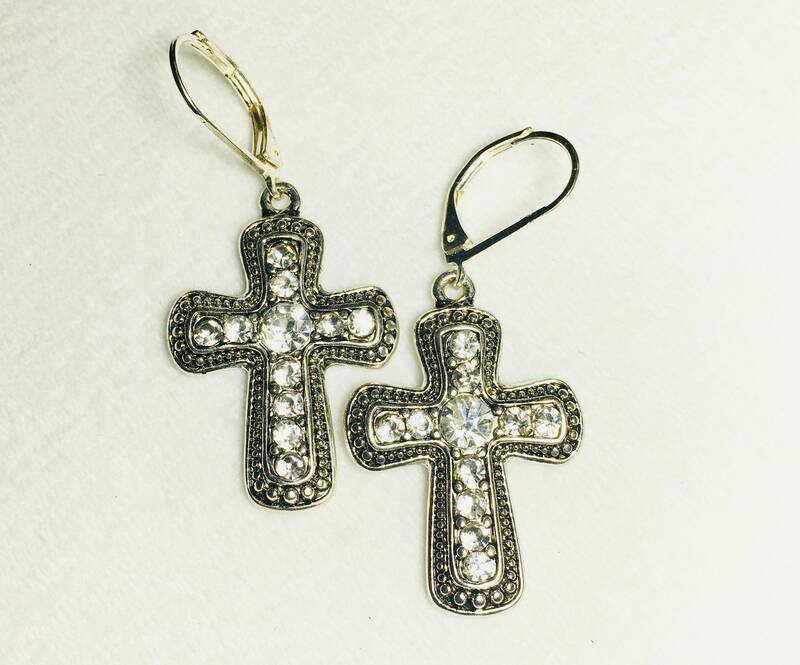 Earrings come with complementary ear wires and ear backs.